The report that you receive from the insurance company is an estimate of what it will cost to put your property back to pre-storm condition, which is what the insurance company is required to do by law. It is often referred to as your Scope of Work, Scope, or Estimate. 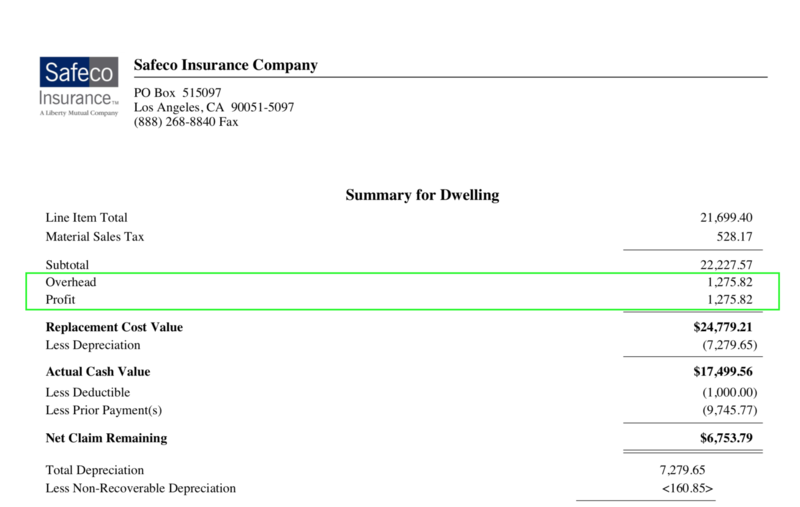 This first estimate/scope you receive is the insurance company’s offer to settle the claim. They often pay out an ACV payment with that first scope. This is their estimate. 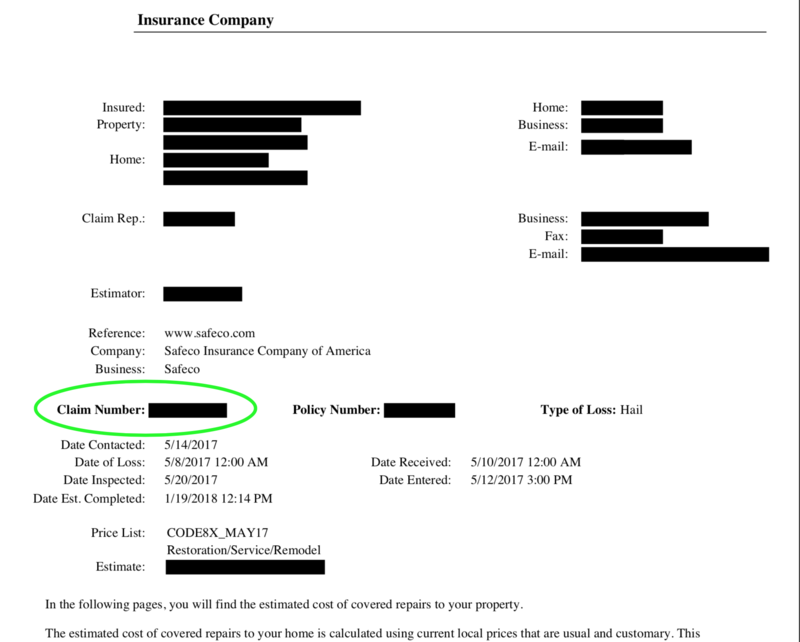 It is also an offer, so there is room for your contractor to review the estimate from the insurance company and identify what line items have not been included in your estimate. When the omitted line items are put together by your contractor, along with the initial items, and submitted to the insurance company as the contractors full estimate, this is called a Supplement. The software that both insurance companies and contractors use is called Xactimate. This program is the restoration industry standard software for estimating insurance related property damage claims. This is your identification number for your particular claim, found on page 1 of your scope. You’ll need it for any correspondence with the insurance company including emails or phone conversations. Often found at the end of your 5-12 page scope packet. This is the total value of all the numbered line items in the estimate/scope plus possible adjustments for any labor minimums included at the end of the estimate. Labor Minimum is to cover a certain minimum number of hours for drive-time, set up time and applicable administrative costs and repairs. Each line item is for a separate portion of the work required to bring the property back to pre-storm condition. General contractor’s charge for coordinating your repairs. This charge is typically 10% for Overhead and 10% for Profit. This is a separate charge to cover the general expenses incurred by a General Contractor that cannot be attributed to individual line items and include any and all expenses for the GC to operate their business; office rent, utilities, office supplies, depreciation on office equipment, licensing, advertising. Overhead and Profit are not included in Xactimate’s unit pricing. Estimated total cost to repair or replace damaged property and bring it back to pre-storm condition. If you have a replacement cost policy, this is like “hostage money”. It’s the decrease in the value of property over a period of time due to wear, tear, condition, and obsolescence. 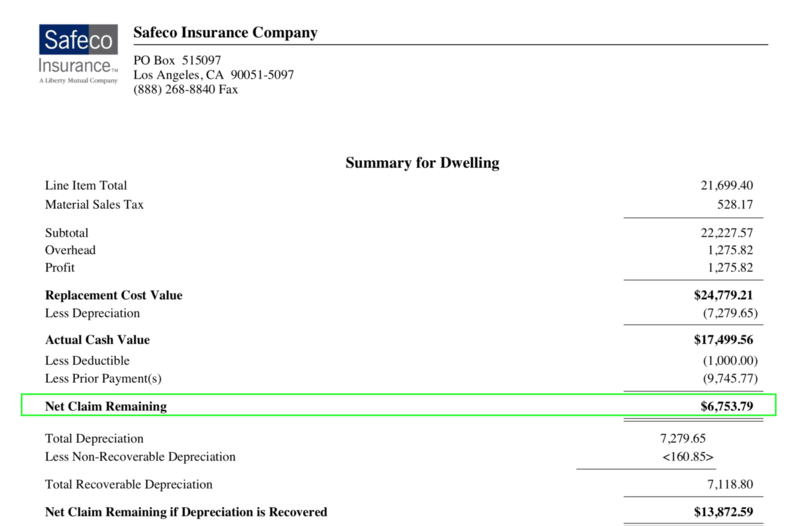 The insurance company withholds a portion of the RCV until you complete the repairs to the property. After repairs are complete and they get a certificate of completion, they disburse the remaining amount of depreciation funds. If you have an ACV policy, see below about the ACV policy. Your deductible is an agreed upon amount (at the beginning of your policy) that you will pay out of pocket in the event that you have an insurance claim. The insurance company will pay for the replacement costs, up to your policy limits, in excess of your applicable deductible. So what that means is whatever your deductible is, the insurance company will subtract that from your payment and you pay your deductible amount to the contractor directly. The RCV costs to repair or replace the damaged property lessthe line for depreciation and the amount of your deductible. This the amount the insurance company will issue as your first check to settle the claim. This is “hostage money” that you DON’T get back. 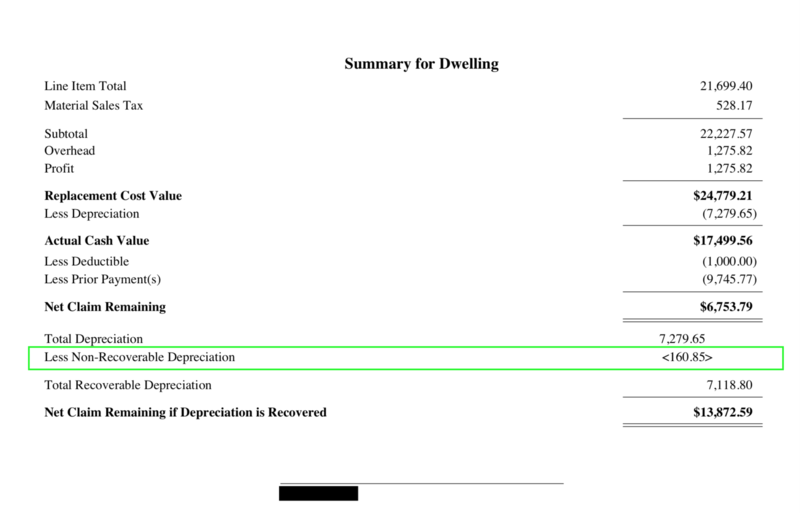 Depreciation applied to items that are not eligible for replacement cost benefits.